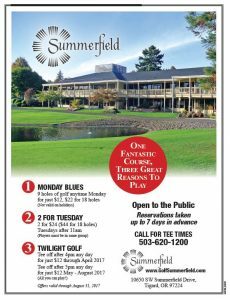 The Summerfield Golf Course is tucked into the beautiful, tranquil community of Summerfield. The course offers immaculate greens and lush fairways. Each hole has two sets of tees, whether for different skill levels or 18-hole play. The golf pro shop is located on the lower level, east end of the Summerfield clubhouse. 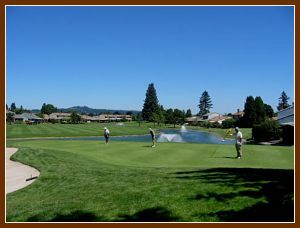 Call 503-620-1200 today for available tee times and experience this hidden jewel! Summerfield Golf Course is now on Facebook! 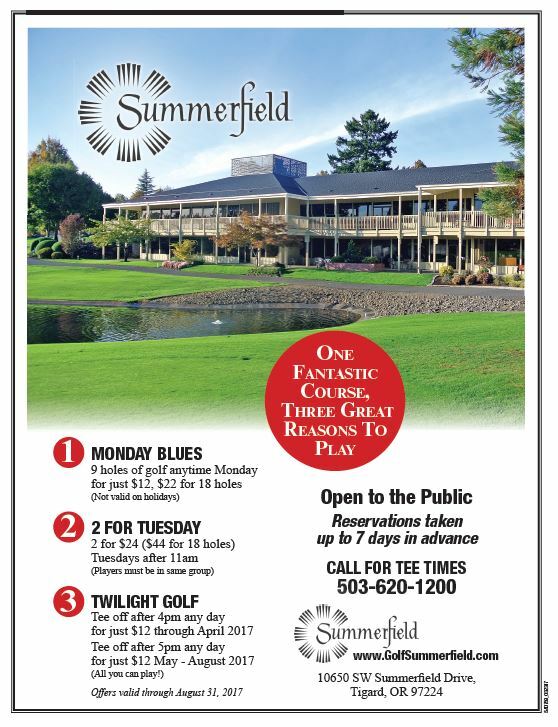 Search for Summerfield Golf Course and “follow” us and “like” us and share our posts!